Hot off the press! This special book takes an in-depth look at Euro 2012 and the tactics, styles of play and mindsets of Europe’s national teams and coaches. Winning Soccer Tactics analyses every game to highlight the counter attacking moves that exposed weak defenses, the benefits of a fluid front line and how substance can defeat style. 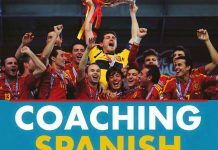 This book analyzes these trends and the many other coaching lessons revealed in the Euro 2012 tournament. Soccer is constantly evolving. This was for all to see at the Euro 2012 tournament. The upsets and surprising results marked how teams are learning to curb the attacking flair of opposition through defensive, regimented and functional styles of play. Russia, for example, were potential contenders. They won many fans at the start of the tournament for their attacking style and expansive passing However, their lack of defensive organization for the sake of attack led to them being knocked out at the group stage. And they weren’t the only team to struggle against a well organized, regimented team. Winning Soccer Tactics: A look at the tactics of every Euro 2012 game plus practical methods to teach them analyses the reasons for Russia’s early flight home along with all the other valuable coaching lessons on view at Euro 2012. Every single game is analyzed one by one to explain the tactics and styles of play that enabled teams to progress, and the weakness that led to others dropping out. In addition, every chapter features soccer drills for coaching your team in the playing style and tactics that were victorious in each game. 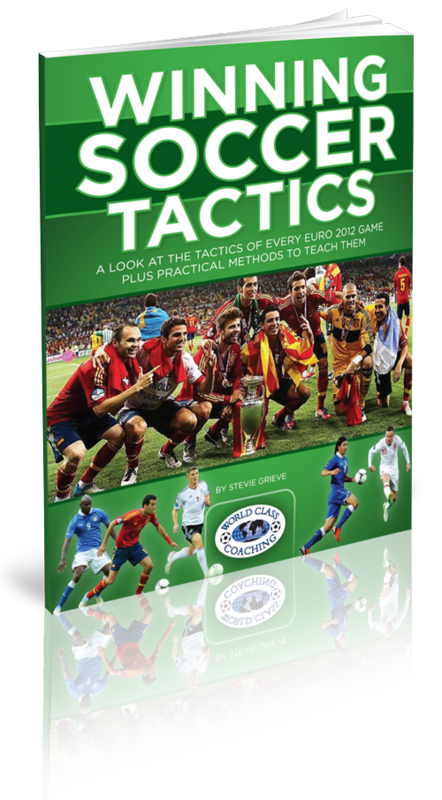 Whether you watched Euro 2012 avidly, just saw a few games or missed the entire tournament,Winning Soccer Tactics is packed with insights you can use to enrich your coaching knowledge. From its analysis of some of the world’s best players, coaches and teams, you will discover how substance and a regimented defense can curb and defeat superior opposition. Many column inches on Euro 2012 have focused on the exquisite passing, skill and attacking instincts of Spain, currently the most dominant side in national soccer. However, perhaps the big lesson from 2012 has been that teams are learning how an organized defense and quick counter attack can enable you to defeat technically superior opponents. Over the last few years, top sides have sought to enforce their style of play and to dominate games through relentless attacking, as epitomized by Spain. But in Euro 2012 there were times when Spain was frustrated and it struggled, such as against Croatia which was setup to defend.Greece’s defeat of early tournament favorites Russia, despite all of its attacking flair, was another example of a regimented team defeating superior opposition. Euro 2012 also demonstrated how defensive frailties can cost teams dear, with the failure of the Netherlands to win a single point marking the decline of total football against well organized, counter attacking sides. Winning Soccer Tactics: A look at the tactics of every Euro 2012 game plus practical methods to teach them analyses all of these lessons gained from the Euros one game at a time. This special book will both enrich your understanding of how Europe’s great national sides play and how you can harness their tactics in your own games to frustrate and defeat sides that try to dominate through relentless attacking. Winning Soccer Tactics analyses every game of Euro 2012, from the group stages right through to the goal scoring feast of a final between Italy and Spain. It looks at the tactics, playing tendencies and the frailties that were revealed in each game. Using screenshots overlayed with tactical points, Winning Soccer Tactics explains how goals were scored and the takeaway lessons for coaches. In addition, each chapter features drills for training your players in the tactics and playing style revealed in each game. How Poland created 2 v1 situations in their opening game against Greece through quick crosses and the turning over of Greek possession. This chapter also includes a training session for counter attacking in transition. An analysis of Russia’s playing style against Czech Republic, with Arshavin, Dzagoev and Kerzhakov interchanging to exploit space and eliminate defensive opponents. 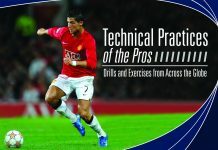 Chapter includes three counter attacking drills. Portugal’s Ronaldo, Nani and Mourinto punished the Czech Republic’s space in defence. This chapter looks at how each goal was scored along with a training drill for developing wide players that can provide assist. How Spain’s relentless penetration tore Italy apart in the final after a poor display against Portugal. 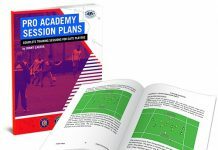 This chapter looks at how each goal was scored along with a training session for quick penetrating play. How Italy’s Pirlo dominated its quarter final game against England through precise deep passing. Chapter features a training drill for developing a ‘quarterback’ player like Pirlo. Russia’s defensive mistakes were punished by Greece. This chapter looks at how the Greeks used their shape and positional sense to emerge victorious to go through to the knockout stages. The game of soccer is constantly changing. New tactics emerge to counter the status quo, as coaches perpetually look for ways to defeat superior opponents by refusing to play how they want them to. 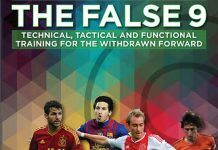 The recent dominance of Spain and Barcelona marked a period in which possession and attacking flair was to be strived for at all costs. Coaches all over the world have tried to emulate their close passing styles and fluid front line. However, while Spain demolished Italy in the final, there were times when they were frustrated.Spain, Russia and Holland all struggled against teams that were setup to defend and counter attack. Chelsea’s victory in 2012’s European Champions League was another example of how a regimented strong defensive unit can defeat technically superior opposition that’s dedicated to attack. 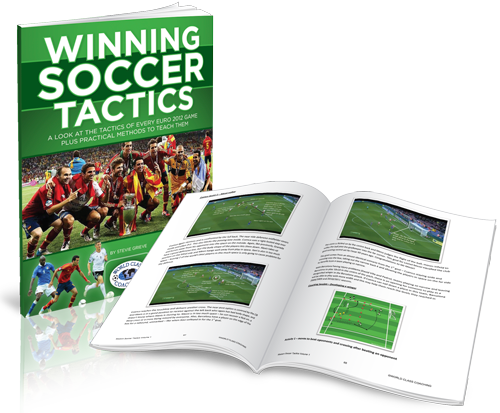 Winning Soccer Tactics: A look at the tactics of every Euro 2012 game plus practical methods to teach them provides you with valuable insights on how this new trend of substance defeating style was put on display in Euro 2012. From this special book you will gain valuable insights on how the game is changing in Europe and how teams are finding methods to oppose attacking teams effectively. As a result, Winning Soccer Tactics will enrich your coaching knowledge and provide you with valuable insights gained from Euro 2012 you can apply to your methods of play. In addition, every chapter features drills you can use on the training pitch to develop the technical skills and mindset needed to emulate how teams with substance were able to emerge victorious against those that relied on style. Europe, the birthplace of soccer, is a cauldron in which tactics and playing styles are constantly evolving as coaches vie for dominance in arguably the toughest leagues in the world. The new methodology of remaining defensively solid then scoring on the counter attack was on clear display during the Euro 2012 tournament, heralding a new trend in world soccer. Spain may have emerged victorious in emphatic style. But there were times when it struggled against teams setup to defend. This special book looks at the tactics teams used to stifle opponents, such as Spain, Russia and Holland, how to play with width to create goal scoring opportunities and much more. Every game is covered, from the group stages to the final. So whether you watched only the latter stages or the whole tournament, now is your chance to gain a treasure trove of valuable insights, training drills and tactical ideas gleaned from the Euro 2012 tournament. 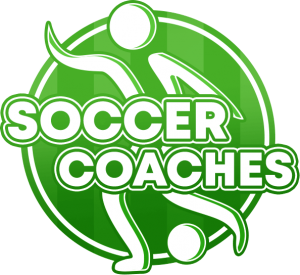 Soccer-Coaches.com provides coaches and players with all the resources needed to improve their soccer training. Our experts provide free soccer drills, exercises, tactical analysis and soccer seminars.